If, before the Launch date 1/12 2017, you register a myname.com.mt or myname.org.mt domain, and provided that no matching Third Level domains exist or will be registered by someone else before said Launch date, then with that you will have successfully blocked the domain for yourself and will be able to “Grandfather” myname.mt. Simply enter the Second Level myname.mt domain into the search box above and click search. If no matching domains are already registered under .COM.MT or .ORG.MT etc., then you can go ahead and both order the .COM.MT and also file the free Pre-registration at the same time. We will register the .COM.MT immediately and contact you early December regarding the now blocked (for you) Second Level domain. Is local company in Malta required? No, it is not required to have a local company in Malta, in order to register a .ORG.MT domain name. Is local admin contact in Malta required? No, a local administrative contact in Malta is not required in order to register .ORG.MT domain names. Are trademarks usable in Malta? Unfortunately, neither a trademark application or registration in Malta or elsewhere will give specific access to register .ORG.MT domains. It is not possible to register .ORG.MT IDN domain names with non-ASCII characters. Are generic domains allowed for .ORG.MT? There are some restrictions on the type of domain names allowed in Malta. Please contact us beforehand, if you are planning to apply for a generic type .ORG.MT domain. How much time does it take to register .ORG.MT domain name? Usually, it takes 21 day/s to register a .ORG.MT domain name in Malta. We will file the application as soon as possible. However, we cannot provide guarantees as we have no influence on the speed of the Maltese domain authority once the application has been filed. What is the minimum of characters allowed for .ORG.MT domains? It is not possible to apply for .ORG.MT domain names with less than 3 characters. What is the maximum of characters allowed for .ORG.MT domains? It is not possible to apply for .ORG.MT domain names with more than 63 characters. 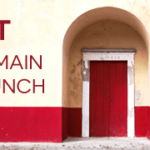 Can I register more than one Maltese domain name? Applicants may register an unlimited amount of Maltese .ORG.MT domain names. Are there other domain extensions related to Malta? Domain name .ORG.MT in Malta. Available for registration. Accepted payment methods for .ORG.MT domain names include Visa, Master Card, JCB, DanKort, PayPal, Visa Electron, Maestro, UnionPay, American Express, and wire transfer.